Big news for Facebook publishers, as the social network giant just announced a plethora of exciting new features during day one of their annual F8 Global Developer Conference. These, including updates from the past few weeks, have the potential to shift all your CRM (customer relationship management) activity to the Messenger app, automate interactions via their new bot feature and so much more. If you check your user profile, you’ll be able to see a new form of identification not unlike a Twitter handle with an “@” sign in front of it. That is your new username which you can edit and share with people you want to interact with. In addition, if your page already has a vanity URL then your username will be one and the same. This new feature will allow you to create your own shareable link in this format: m.me/HashtagInteractive. Anyone who clicks on your link will automatically bring them into a Facebook chat box addressed to you. Messenger codes are unique circular codes with your profile image in the middle. Users can scan this code with their phone’s camera while in the Messenger app. This will then directly open a blank Facebook chat window that’s addressed to you. Publishers can now greet anyone who wants to interact with them. Whenever someone opens a chat box to your page you can now automatically send them a short message about you or your page once the window opens. Messenger has also teamed up with Dropbox allowing users to share files instantly without leaving the app. The social network has also developed “Sponsored Messages” a way to re-engage with users who’ve voluntarily started a conversation with your page on a previous occasion. This new feature will allow people to log into new apps using only their phone numbers or email addresses, therefore helping developers grow and introduce their apps to new audiences. Boasting deeper audience insights, and a beta version of push and in-app notifications, this update can help developers and marketers grow their business, improve their reach and expand their audiences. You can now use third-party apps to create unique profile videos with just a few taps on your mobile. The beta is available with support from six apps, including Boomerang by Instagram, Lollicam, BeautyPlus, Cinemagraph Pro by Flixel, Lollicam, MSQRD, and Vine. 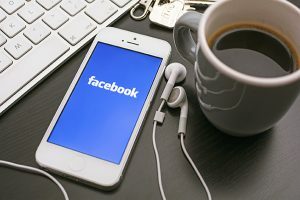 Facebook has developed a new plugin that will allow people to easily share quotes around the web to their friends as well as a save button that will let people keep articles, products, videos, and more from the web into their Saved folder on Facebook, where they can easily access it later from any device. Following the success of Facebook Live the platform has now been opened to developers so that they can design even more ways for people and publishers to interact and share real time content on the social network. With the aim of vastly reducing post-production effort and time, Facebook unveiled its 3D-360 camera system called Facebook Surround 360. A camera system that produces crisp 3D videos while seamlessly marrying footage from 17 cameras. Oh, and did we mention that the design specs and stitching code will all be available on GitHub this year? Stay tuned on our page for the next round of Facebook announcements from Day 2 of the F8 Conference. In the meantime, let’s hash your project out. Drop us a line here for all of your digital marketing needs.